Isn’t Tux just the cats meow? He is so gorgeous and cute and looks just like he’s wearing a tuxedo just like his daddy. 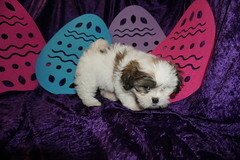 He is going to be small because he is a Imperial Shih Tzu. This baby will definitely brighten up your days and nights, and bring a big smile to your face due to his cute and playful antics. If you have someone special in your life and you want to give them the best, then Tux is the baby for you. Tux is one of three males from this litter. Tux is so gorgeous and looks like he always wearing a tuxedo. Just look at his shiny black coat with the perfect white marking. His eyes are magnetizing as they pull you in. He has the short stocky built making him so adorable. This baby boy says you can’t wait to stroke his hair it is so silky hair it will entice you to run your fingers through it everyday. His adult weight estimated between 9-10 lbs. 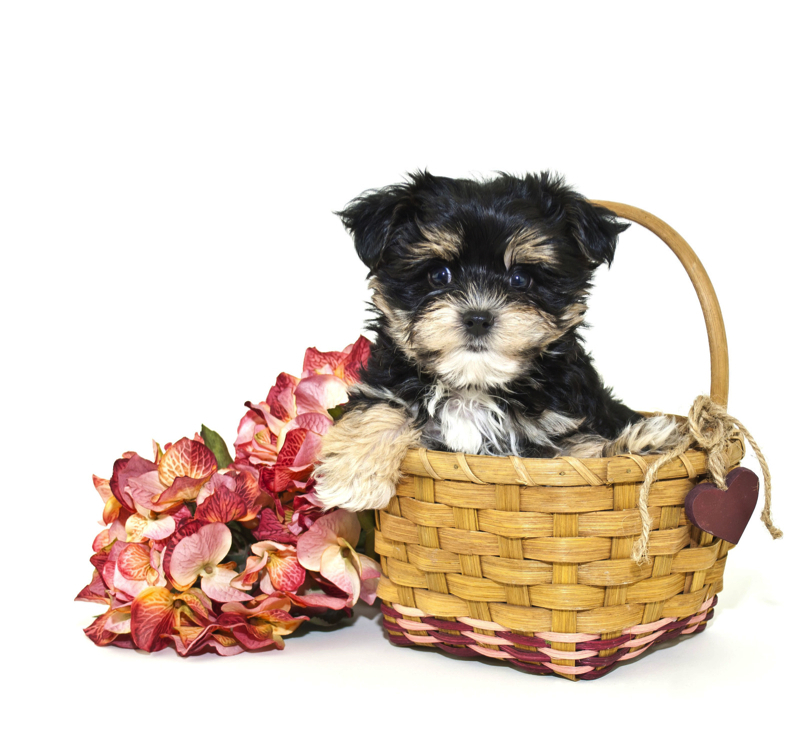 Unlike regular size Shih Tzu that weigh 18-22 lbs Tux is The perfect choice so call today!